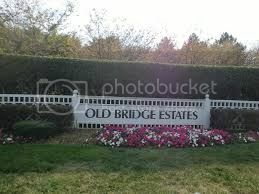 Old Bridge Estates has 860 homes which were built in 1987. Old Bridge Estates has many wonderful amenities such as a pool, a tennis court & so much more. Old Bridge Estates Is close to transportation schools, shopping, I-95, and route one. Old Bridge Estates is approximately 27 miles south of Washington, D.C. and 32 miles north of Fredericksburg, VA.
*School assignments may vary. Please contact the Prince William County School District for any revisions in school assignments. For more information about Old Bridge Estates, please contact The Crews Team at 540-692-9144. Sign up on our website to get the latest homes for sale in Spotsylvania. When it comes to Old Bridge Estates, The Crews Team is here to provide you with exceptional service.